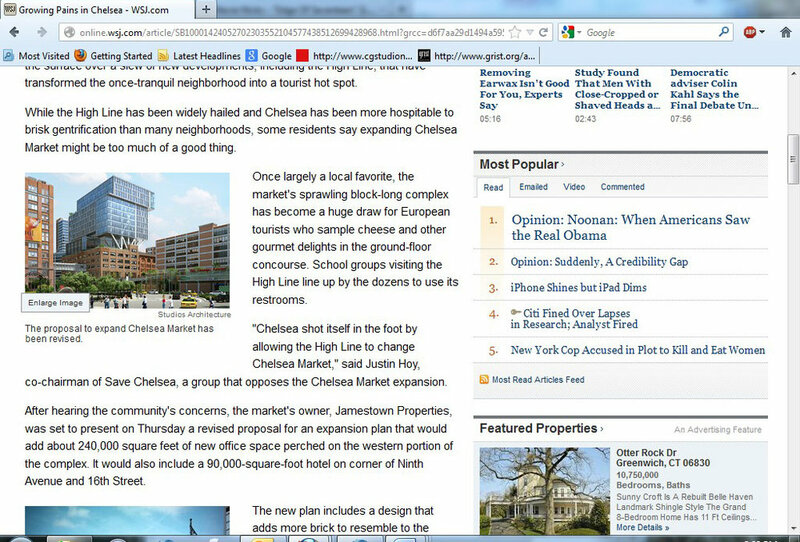 Nutter Media creates guerilla PR campaigns for clients in the form of media viruses that are designed to spread throughout the target media and communicate a message on behalf of the client. 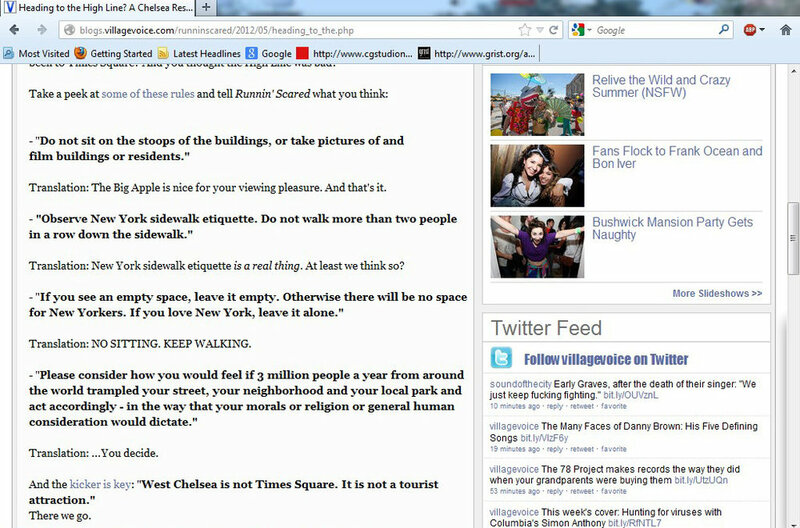 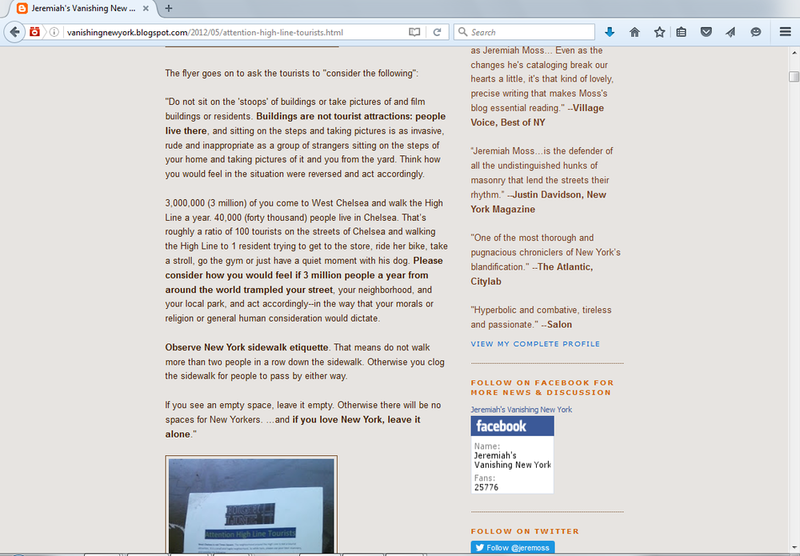 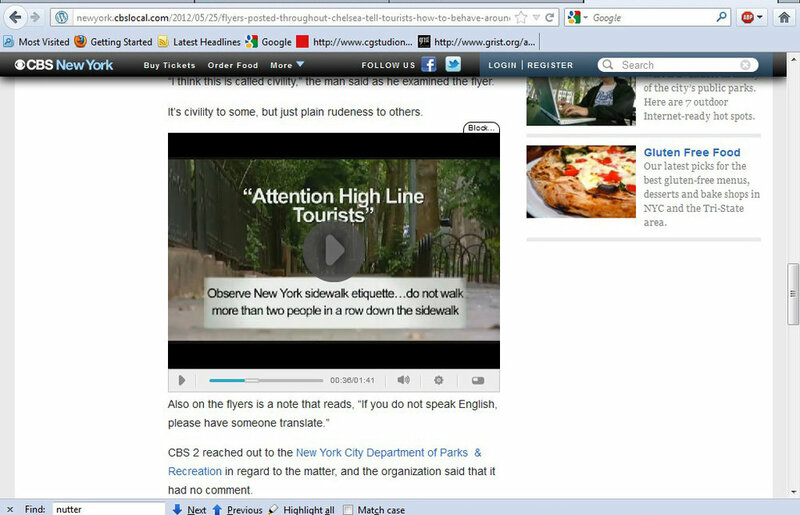 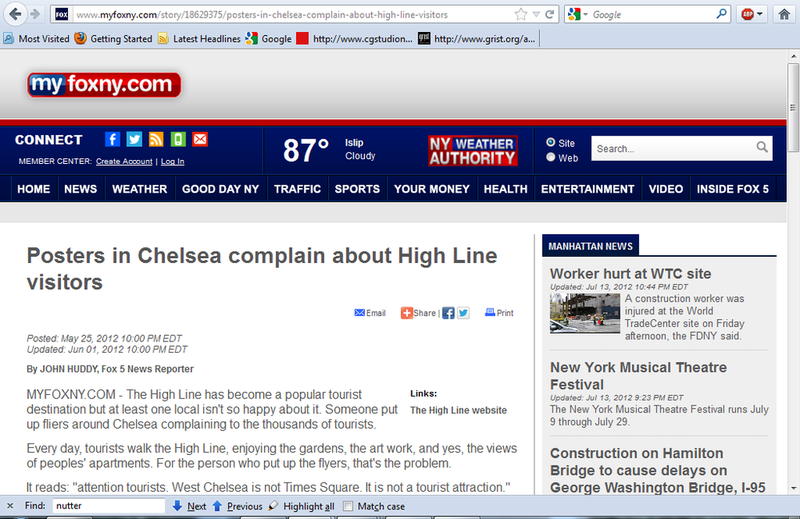 In 2012 Nutter Media planted a story on Vanishing New York about an anonymous Chelsea resident who had put up flyers in the West 20s asking High Line tourists to use manners. 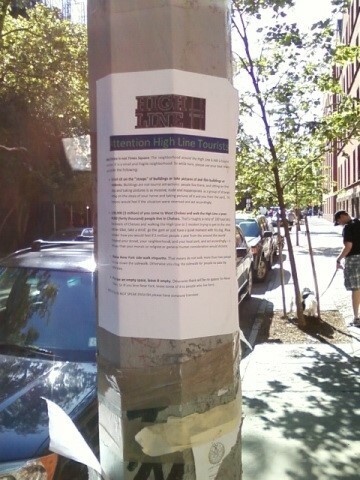 The flyer—which was titled "Attention High Line Tourists: West Chelsea is not Times Square"—contained talking points about the number of tourists in the neighborhood – at that time 3 million a year – and how they were treating the neighborhood itself like a tourist attraction and destroying quality of life for residents. 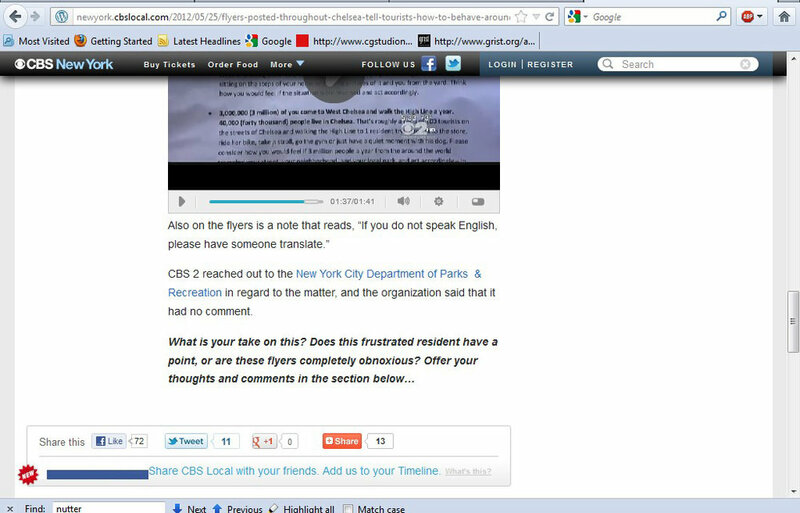 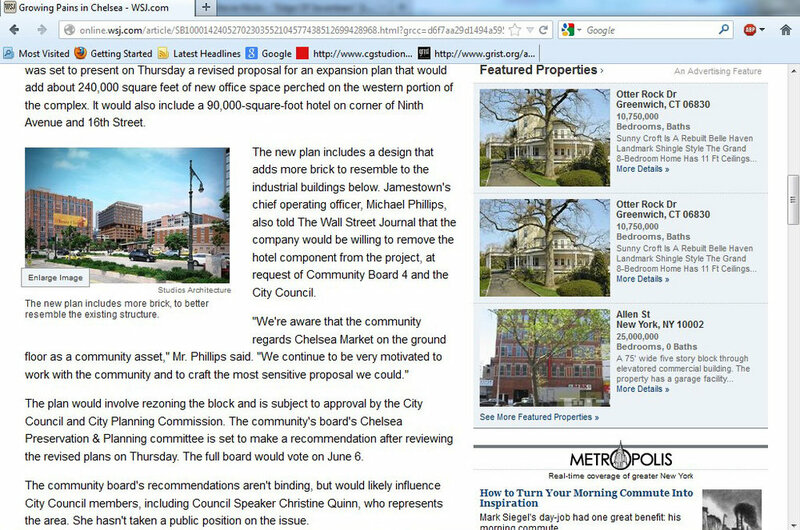 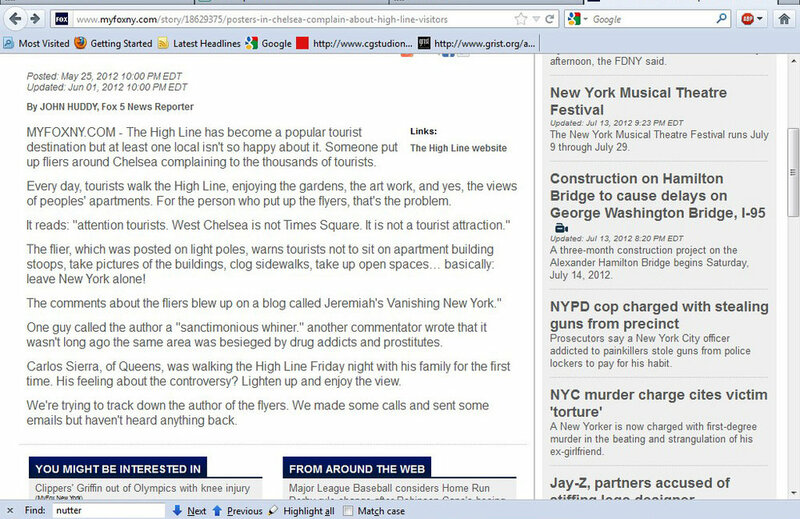 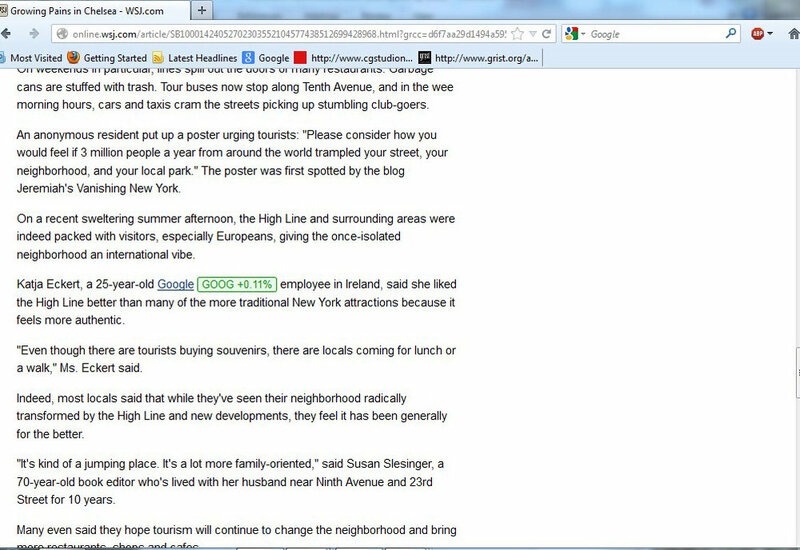 The story was picked up from Vanishing New York, and over the next few weeks the news of the flyers was reported and re-reported on in city-wide media, followed by national and then international media, including Fox News, CBS, New York magazine, the New York Post, Curbed, Gothamist, the Village Voice, Time, MSN.com, NY1, the U.K. Daily Mail, the Atlantic Monthly, and the Wall Street Journal. 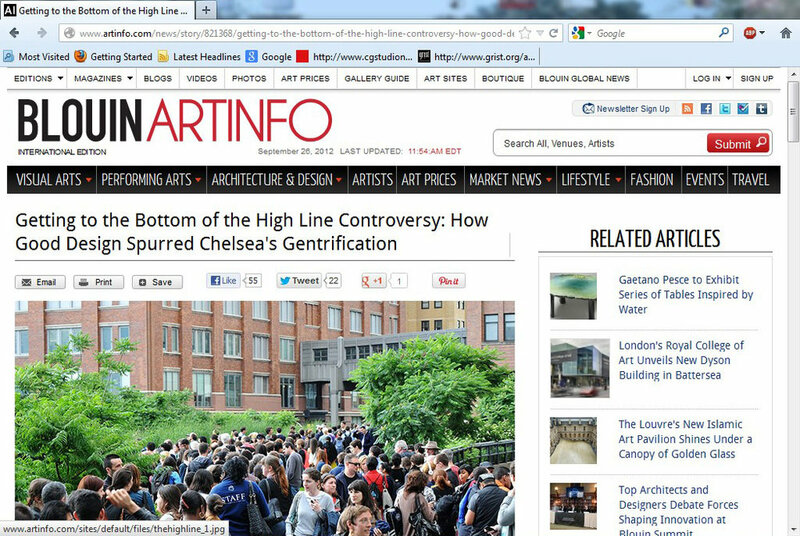 The story was re-reported, shared and commented on by countless social media channels as well as on personal blogs and blogs covering tourism, “gentrification” and, generally, New York City. 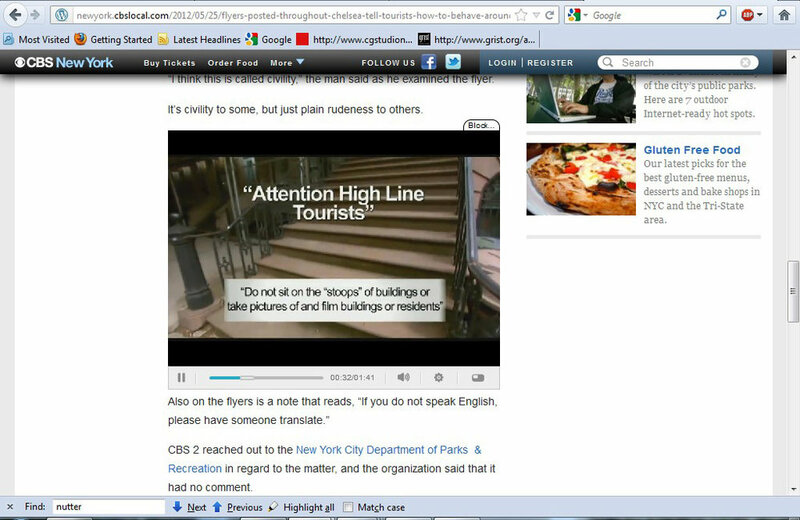 Photos as well as quotes and full-on excerpts of the flyers -- including a complete excerpt in Time magazine -- made it into the above mentioned traditional media, new media and social media coverage, making it one of the biggest viral media stories of 2012. 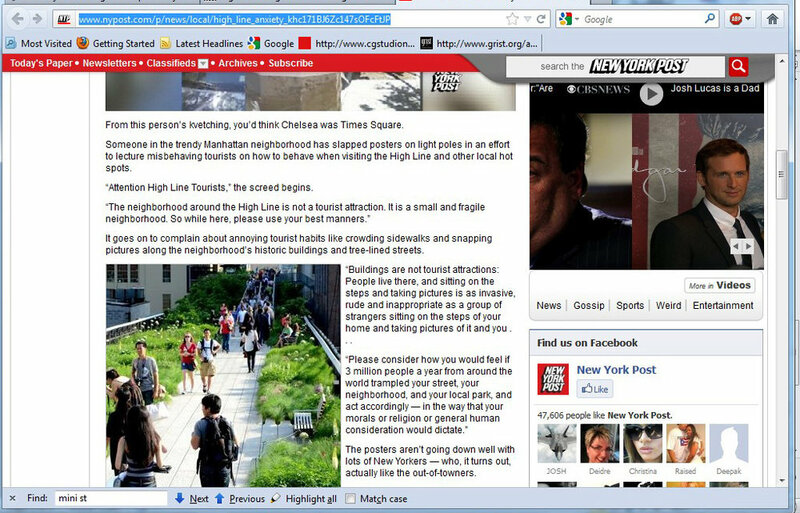 The virus permanently changed the conversation in the media about the High Line by forcing the media to report on the destructive effect of tourism on the surrounding neighborhood. 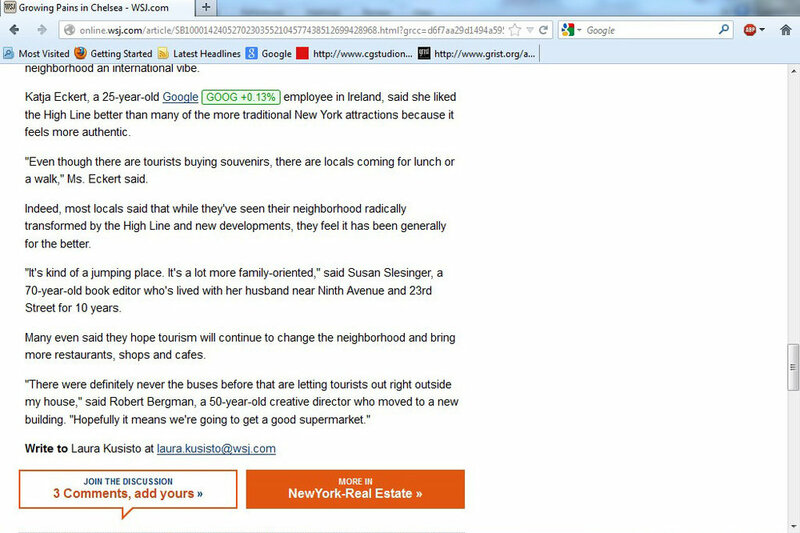 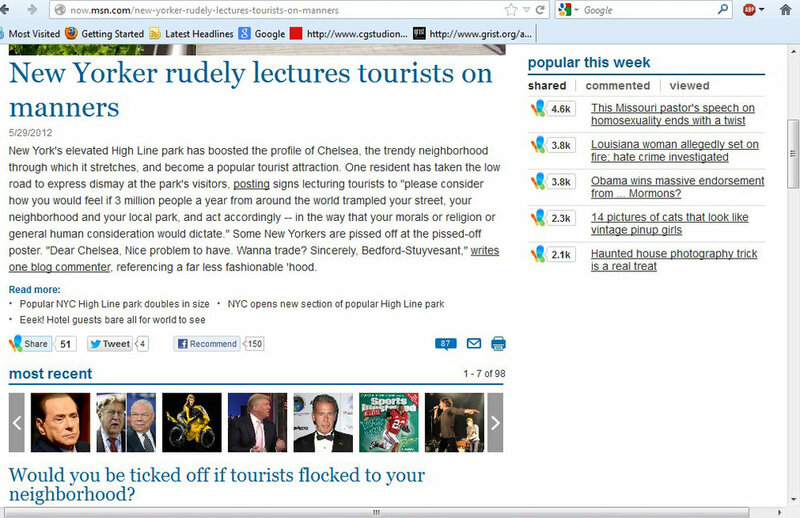 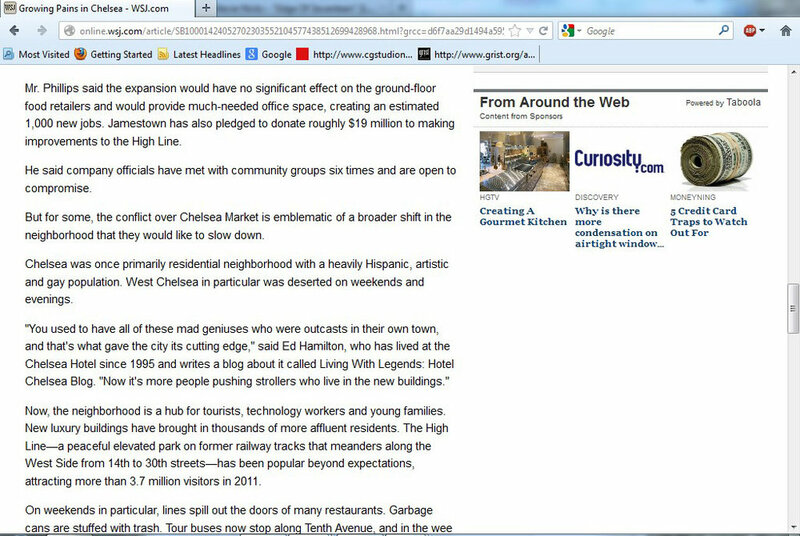 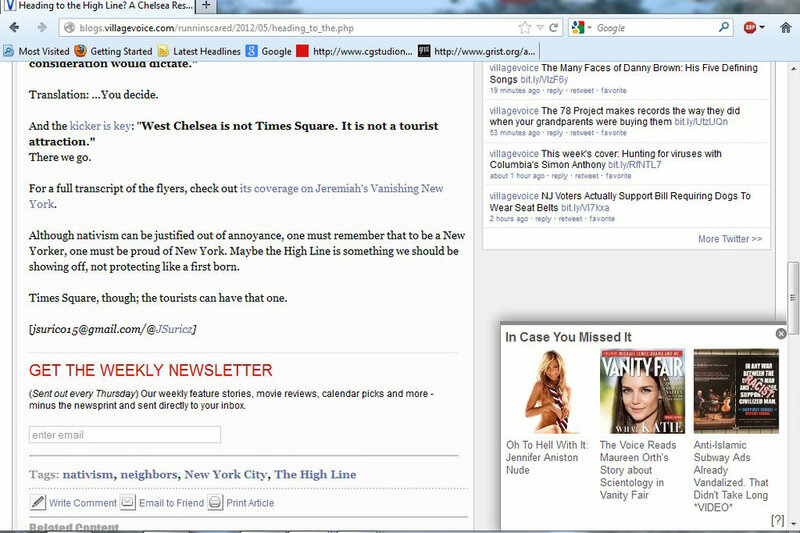 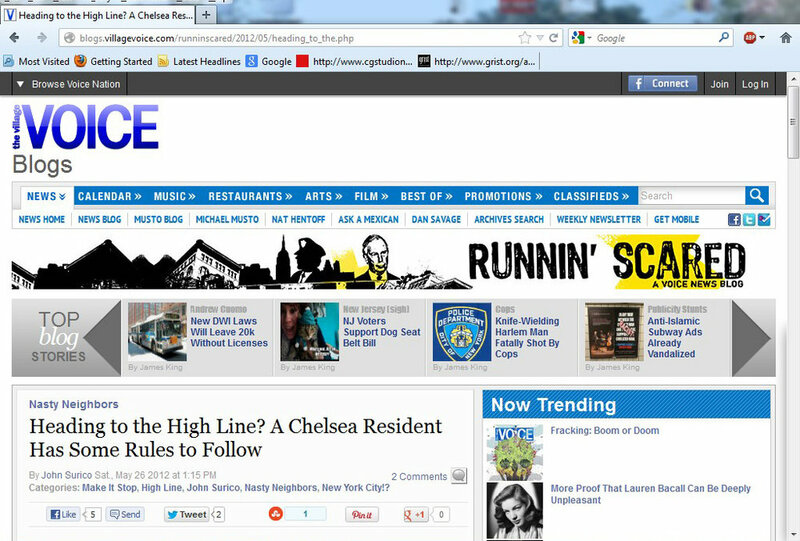 The media storm inspired an op-ed in the Times about tourism’s effect on Chelsea which quoted the flyers, eventually pushing Friends of the High Line’s PR department to acknowledge the influx of tourists into Chelsea for the very first time since the High Line opened in 2009.